The year ahead has set the brisk pace for online retail development in 2018. The new challenging goals are ahead and to cope with the significant business obstacles, you’ll need virtually the perfect eCommerce solution. In search of one? Here is a comprehensive Prestashop vs Magento review to help you clarify the winner between the two leading platforms - Prestashop and Magento. Both Prestashop and Magento are open-source eCommerce platforms that will allow you to start and manage online store successfully. What concerns customization capabilities both solutions will allow you to create an e-shop you have in mind that will be unique and will meet your company requirements just perfectly. To launch a shop you would require some tech knowledge both with PrestaShop and Magento. Prestashop is considered a bit simpler and, thus, would be recommended for beginners and those merchants who are not particularly tech-savvy. Maybe, Magento is somewhat more complicated, yet the functionality Magento offers out-of-the-box cannot be compared with any other solution currently available on the eCommerce market. The official Prestashop website claims that this eCommerce solution currently helps more than 270,000 online retailers manage their stores and develop eCommerce businesses. Magento currently empowers more than 650,000 websites worldwide. Clearly, Magento is favored, nevertheless, PrestaShop has been growing in popularity over the past couple of years. And eCommerce experts predict it would become one of Magento alternatives in the nearest future. “More than 12% of our clients in 2017 performed automated migration to Magento, and nearly 10% chose Prestashop as their Target Cart”. Below you’ll find 7 barriers both shopping carts would need to overcome in PrestaShop vs Magento Grand Race 2018. You’ll see whether the speed remains high after each obstacle and who will reach the finish line first! Let’s go! PrestaShop themes are elegant, professional and stylish. You are encouraged to choose from more than 3,000 free and paid Prestashop templates that will have extra responsiveness features, themes color switcher, mega menu option, graphics included and front editor if you wish. Magento themes come with efficient and trendy look and well-organized categories. The only thing there are only 12 themes available on Magento Marketplace. This is absolutely not a problem as there is a considerable supply of third-party designs. You can find the most adorable ones visiting ThemeForest and find the one that will appeal to your clients the most. At this point, Magento will offer you more variants of design to choose from, you’ll have to spend some time discovering the huge amount of them. Most importantly, you can develop your own Magento theme once you have the necessary tech skills. In comparison to PrestaShop vs Magento, the first one would be greater option once you are tech-challenged. It is much easier to customize your Prestashop store. This platform has simplified the daily management of the store owner that will help you concentrate on important issues. You’ll be able to optimize your online store with the help of advanced analytics and dashboard modules. Magento is currently known to be the most flexible shopping cart ever. This solution is a real masterpiece of software craftsmanship and will guarantee unlimited capabilities to tech-savvy online merchants. Daily management of online store on Magento will be a real pleasure, and it is fairly simple. For launching and setting the website, you’ll need either experience in web development or to hire a professional to help you. To add, this eCommerce solution offers eCommerce Analytics that will help you analyze the traffic and make the most insightful decisions concerning your business strategy. These data will help you grow customer conversions and increase your audience. To add, Prestashop offers integrations that will enable you to export products listings directly to eBay, Amazon, Google Shopping and other popular marketplaces. Up to this point, it seemed that Magento has been losing to Prestashop. Now the situation will change radically. The list of Magento eCommerce capabilities is extensive and will impress even the most demanding and experienced online merchant. Click here to check the full record of Magento Features List. We’re more than sure that the description will impress you. Magento offers more functionality out-of-the-box. Nevertheless, the supply for the extension has always been vast. 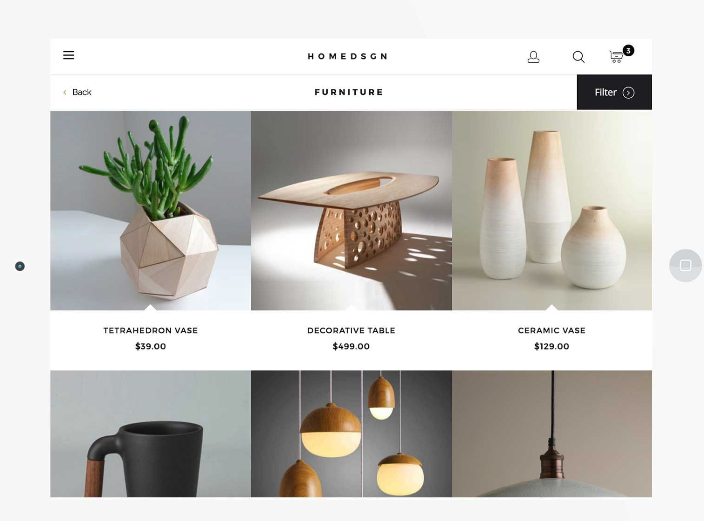 Recently a new Magento Marketplace has been released and it provides currently nearly 3,000 extensions, both paid and free. Yet we are sure the amount will increase significantly in a couple of weeks and Magneto will take its leading position back very quickly. Prestashop Add-ons Marketplace suggests 5,000 modules, graphic themes, and services that will allow you to add new capacities in a few clicks. Here you’ll find valuable modules to boost any eCommerce business. Everything from drop-shipping to flash sales! Prestashop is an open-source shopping cart that is free to download and use. Wait a moment! It does not mean that this shopping cart is no-expense. If this were true the decision between PrestaShop pricing or Magento pricing would be obvious. There is no other way to launch functional Prestashop store without purchasing several charged modules and a responsive template. As a similar feature regarding pricing, the two solutions provide Free Demos for you to get an idea how Prestashop or Magento work. Regarding eCommerce functionality, Magento SEO capabilities are vast. A range of SEO settings is available in Magento out-of-the-box. Among them are meta tags for products and home pages, images optimization, canonical tags for categories and products, edits of robot.txt files, etc. Ecommerce-platformsdotcom has conducted comprehensive research of the most popular eCommerce solutions and Magento scores 95 points out of 100, a great result! Magento Support guarantees free 24/7 customer assistance. By logging to your Magento account, you will be able to open a support ticket. Once any peculiar tech assistance is required with Magento Open Source, you can reach out to certified solution partner. Vast documentation is available, and the significant issues are analyzed thoroughly on Magento Forums that have nearly 300,000 members and more than 76,000 posts available. To add, there is a lot of documentation, webinars, videos, tutorials, and white papers on Prestashop available once you decide to cope with everything by yourself. Who’s Won the Prestashop vs Magento 2018 Race? Both Prestashop and Magento are convincing winners on the market of eCommerce solutions. The two are aimed at different types of businesses with different budgets, different demands, and goals ahead. Because only you know your business inside out and only you are aware of the tinies peculiarity that should be taken into account - the decision is all yours! It is up to you to choose the key factors that would impact your decision. The main thing - both Prestashop and Magento will become excellent choices to perform migration to in 2018 and will raise your business to entirely new, advanced level. You WILL be impressed! What is there remained to add? Do not let your decision of migration to another, more robust shopping carts into a nightmare when you have to deal with every tech issue yourself or pay extra costs to hire a developer to perform the job. Turn to Cart2Cart automated service to perform the shopping cart migration fast and accurate. With our service, you can perform Prestashop Migration and transfer your eCommerce data to this highly functional cart in a couple of hours. Magento Migration is also not a problem with Cart2Cart who is currently the only relevant service that will help you deal with this complicated and multi-functional cart. Your current store performance won’t be affected, and there is no need to worry about order processing delays and unhappy customers. 100% uptime of the Source Cart is guaranteed! Do not forget there is a Free Demo available to check both platforms' benefits and the service quality in advance. Sign Up for Cart2Cart account and make your dream store a reality in a few clicks! 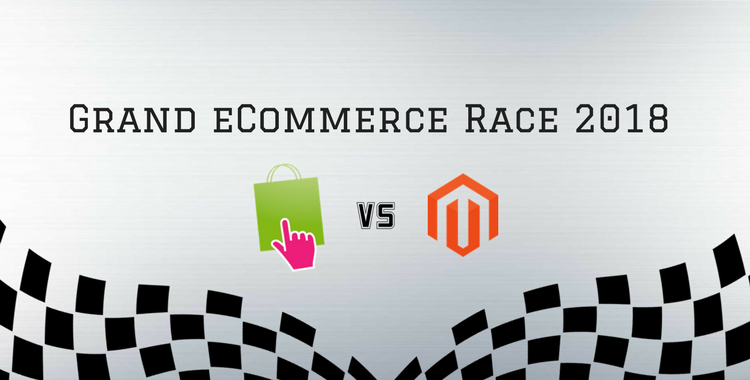 4 thoughts on "Prestashop vs Magento Grand eCommerce Race 2018"
So for SEO magento 95 Prestashop 40 !!!!? Hi, we’ve got these data from a research performed by Ecommerce platforms website. It was surprising for us as well as PrestaShop is one of the most popular cards and has become an ideal platform for many businesses worldwide. Yet there are always differences between the eCommerce solutions and SEO capabilities of Magento are better in this case. Thank you for the commentary. Please, always let us know what you think. Your feedback is much appreciated.